Buying Christmas gifts for fathers can be tough. I think I’ve given my dad pajamas every year for the past five years — at least. Turns out I’m not the only one with this dilemma. According to a survey done by Simon Property Group, fathers are Americans’ least favourite person to shop for during the holidays. Simon’s survey was based off answers from 1,048 holiday shoppers aged 18 and older across the US. 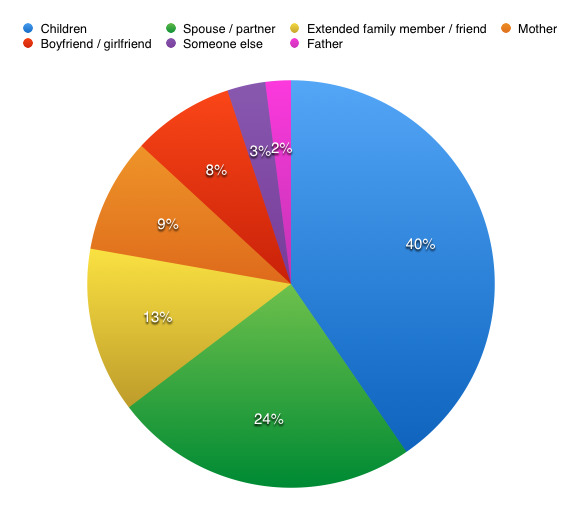 Only 2% of those respondents said that dad was their favourite person to shop for at the holidays. Even the vague “someone else” is more enjoyable to buy gifts for, according to the survey. Take a look at the ranking and chart below to see who Americans like to shop for most around the holidays, along with the percentage of respondents who said that person was their favourite to shop for. Need some ideas for what to get Dad this year? Check out these gifts for $US50 or less, and these gifts for the modern gentleman.